Just a few months ago, these dogs were looking death in the face. 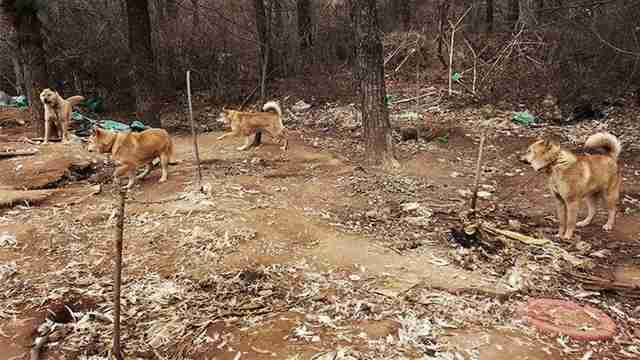 They were living on a chicken farm in Ilsan, South Korea, chained to poles and surrounded by filth. 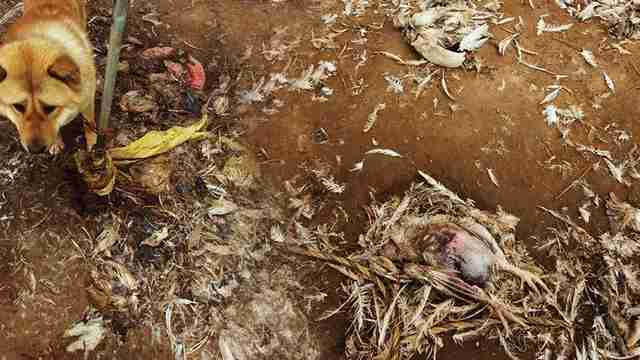 They had no clean water, and the ground was littered with chicken feathers and body parts. A local woman, identified only as Jinoak, found the dogs and began to secretly visit them, offering them food and comfort. But she soon found out their farmer had an even worse fate in store for them. 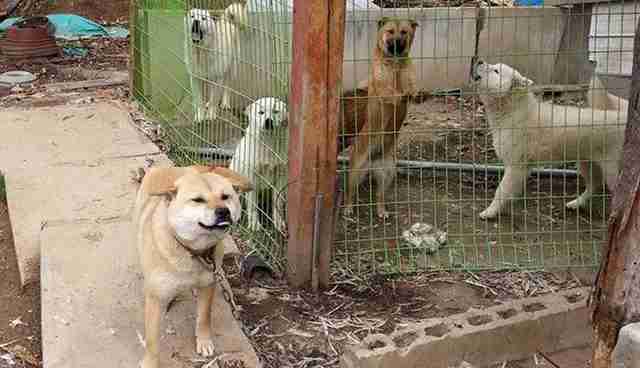 He was planning to sell them to a slaughterhouse in advance of the Bok Nal days - a selection of three days in July and August that supposedly coincide with the hottest days of the summer - when thousands of dogs are killed and eaten in South Korea. The dogs are made into a "hot and peppery" soup called boshintang that supposedly helps combat the midsummer heat, according to Humane Society International (HSI). Sometimes smaller dogs are made into "tonic drinks." An estimated 2.5 to 3 million dogs are killed for human consumption in South Korea each year, according to HSI, many of them during the Bok Nal days. 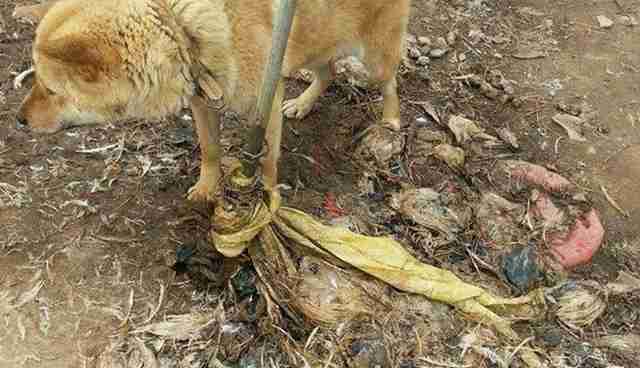 Most of the dogs are killed by electrocution; others are hung or beaten to death. The Bok Nal days bear many similarities to the Yulin Dog Meat Festival, an event in the Chinese town of Yulin where thousands of dogs are killed and eaten over the course of a few days. But the Bok Nal days are less internationally known - and, by extension, less widely condemned - than Yulin, and it's harder to combat them since they're a series of holidays, rather than a localized event, according to Wendy Higgins, international media director for HSI. "Unlike the infamous Yulin dog meat festival in China that we campaign to close down, Bok Nal isn't a single event so it's less a matter of 'banning' a festival and more about changing hearts and minds and habits during this time of the year," she said in a statement. 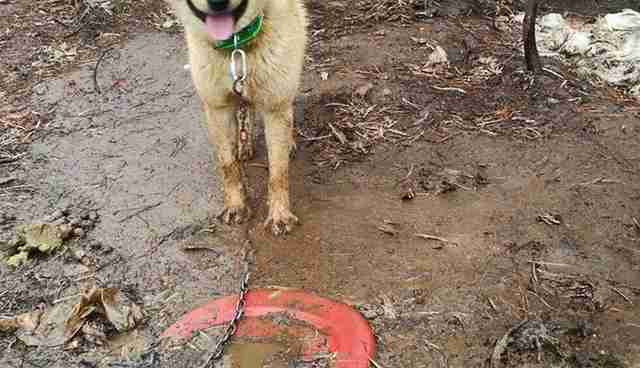 But for the 20 lonely dogs on this particular farm, they found just the heart to help them. When Jinoak realized where the dogs would end up, she raised the money to purchase all 20 of them. She also secured a promise from the farmer to stop breeding dogs in the future. 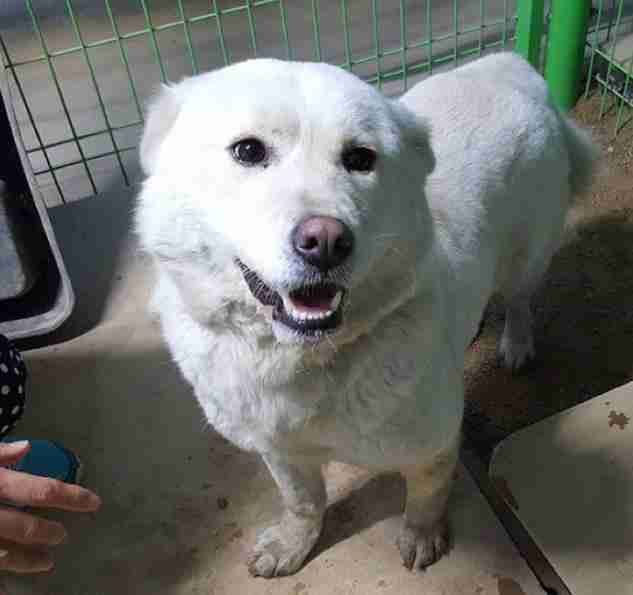 The unlucky pups were transferred to a Korean shelter run by Jinoak, but they weren't safe yet. 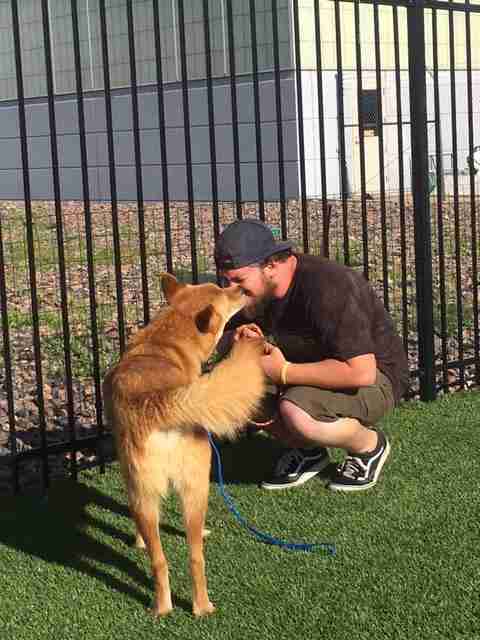 Because dog adoption is relatively uncommon in the country, HSI teamed up with North American dog rescues to help. 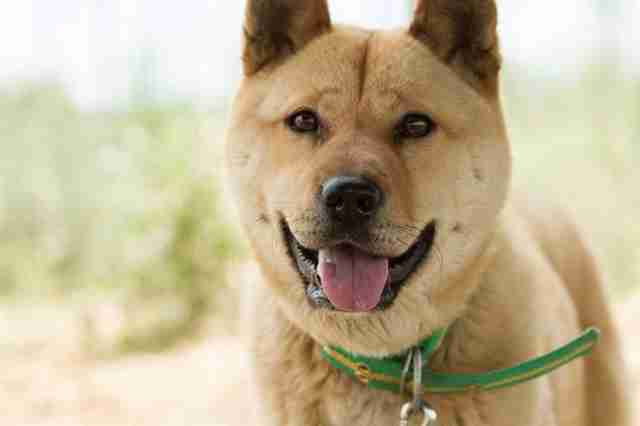 Free Korean Dogs is working to find homes for 10 of the dogs in Canada. And now, the remaining 10 are being flown out to the Lewis & Clark Humane Society in Montana, where they would be more likely to find forever homes. A short while ago these dogs knew little else than the dusty ground, hunger and loneliness. Now, thanks to one kind woman and a team of people who cared, they're experiencing grass, full bellies and, if all goes well, the love of a family who cares. "The dogs on this one farm have been given a second chance," Higgins said. "Love and comfort is what awaits these latest lucky 10, but we will keep on fighting for the others." This year's Bok Nal days will take place on July 17, July 27 and August 16. If you'd like to help end the torture of the dogs who were left behind, you can make a donation to HSI, which works to save animals around the world, here.